Sandman, the villain, was the strongest person Spiderman had ever fought and is also the only enemy of Spiderman who’s still alive. The Sandman was part of a different breed of supervillain that showed the world a glimpse of true power. He was better than every other villain and had done things nobody had ever seen before. That’s why it was so fitting for Mariano Rivera to be given the nickname “The Sandman” early on in his career and to enter the game to the song “Enter Sandman”. 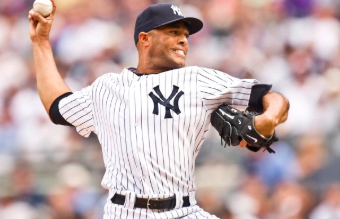 Mariano Rivera, like the Sandman, is on a different level compared to the people around him and has done many things nobody else has ever come close to doing. He finished his career with 13 All-Star appearances and five world series rings showing the consistent greatness he displayed over the course of his career. His records include the 652 saves he recorded, 952 games finished, and an adjusted ERA of 205. Adjusted ERA, or ERA+, compares a pitcher to the other pitchers from all other teams in the same time period, and the highest adjusted ERA is the best. The next best pitcher’s career ERA+ was at 159, a whole forty-six points behind Rivera’s. Although these records were all impressive, a different accomplishment is undoubtedly better than the ones mentioned above. On this past Tuesday, January 24, Mariano Rivera was the first player in history to be elected unanimously to the National Baseball Hall of Fame. This means that every single one of the several hundred voters nominated Mariano Rivera to enter the National Baseball Hall of Fame. There have been 329 people, a mix of players, managers, and umpires, elected to the baseball Hall of Fame, and Mariano Rivera was the first and only one to be elected unanimously. There are 226 former Major League Baseball players currently in the Hall of Fame, and he is the only person to have received every vote possible. These are the greatest players in the history of the sport, but they could not do what Mariano did. One can not say for sure that he is the greatest player ever to play the game, but Rivera is a legend, and he is The Sandman.